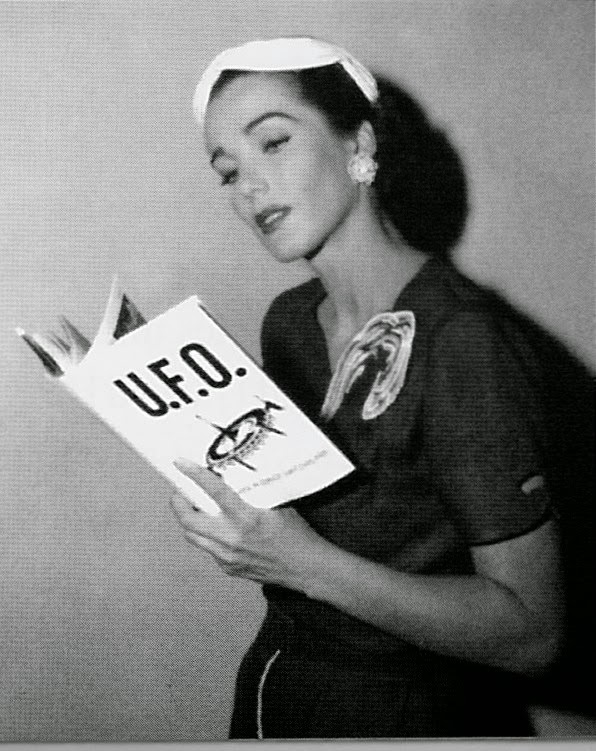 I think that right now a lot of us in UFO land wish we could travel back in time two weeks, to when the world was innocent and unspoiled, and researching the U.S. Air Force's Project Blue Book UFO case files was fun, free and easy. Well, ok, it wasn't always easy, but it was fun and free. Back then, in those simpler, carefree times, students of UFO lore like myself could visit www.bluebookarchive.org or www.fold3.com to read Project Blue Book case files to our hearts' content, or until our significant others told us to turn the damn lights off and get to bed. Then, on January 12th, just two weeks ago as I write this, in an interview with UFO news website OpenMinds.tv, John Greenewald announced that he had 1) filed Freedom of Information Act requests to get access to 130,000 pages of documents in the Project Blue Book files, and 2) made those files in their entirety available "in a straight forward, easily searchable database." INTERVIEWER: "Why have (the Blue Book files) not been available online for free until now? GREENEWALD: "To convert and archive 130,000 pages is no easy task. There are some sites that tried to create the archive… but really didn’t gear it towards the researcher or the investigator. Some charge for the information (if it’s even complete), others make it hard to download or read, and others are just incomplete." Get that? The interviewer asked a question that was formulated on an incorrect assumption: that the files had never been available online for free until now. Now, it seems to me that the correct response would have been, "Whoa, hold it right there, pal, I never said they weren't available online for free up until now! They have in fact been available for free from two different websites for many years. I have simply attempted to make that same information more complete and more useable. There is no need to make a big fuss over this!" Then the interviewer might have asked, "Okay, but if this information has been available online for free for several years, what's all this about you filing all these FOIA requests to get this information out in the open?" Now anyone can learn about UFOs! ...or can they? God knows what the correct response would have been after that, but I'm pretty sure the whole thing would have ended right there, and not become the latest in a long line of self-immolating public embarrassments to the UFO community. But no, the news grew and spread and grew and spread until every human being on earth knew, or thought they knew, that the Project Blue Book files had just been declassified by the Air Force and made available to the public online for free for the very first time ever. Which is just fantastic news for anyone who believes these records should be available to the public for free, isn't it? "...become the latest in a long line of self-immolating public embarrassments to the UFO community." I'm sorry, did I hit a button by accident? You want to go back 2 weeks, huh? Well, you are one of maybe 4 people who would. Me on the other hand? http://www.google.com/trends/explore#q=Project%20Blue%20Book I will let Google answer that -- public awareness was my goal -- not getting a good review on your blog. 2) I stand by what I said. You point to a site that displays pages of the Blue Book record a single page at a time, and to download more, you need to fork over all your personal information, and even a credit card if you want to do legitimate research. On top of that, the public at large didn't know about it. I made a format that was easy to use, quick, simple, free, and people loved it. The popularity speaks for itself. Knock it if you want, but people paid attention. I take responsibility for that public interest, and those media outlets who did call me, had the record straight. Others who copied and followed the Lemming pack -- well -- blame me if you want but I set the record straight (not that you tried to ever report on that). That just makes you more of the problem... not the blogger solution. 3) You can blame me all you want -- but at the end of the day more public interest in the UFO phenomenon was generated with The Black Vault posting those documents than in more than a decade or even 2. Methinks, someone doth protest too much. I stand by what I said, too, John. Before writing this, I did "real" research to find the earliest write-up of the Black Vault Blue Book news. To be fair to you, I didn't want to rely on a later report that might include inaccurate, mis-transcribed or distorted information, so I went to what seemed to be the source, the Jan 12 interview posted at Open Minds. I only referred to that article, and I only referred to the interview segments of the story. I don't see how I could get much more accurate than that, but if there is a story that predates the Jan 12 Open Minds report that you feel is a more accurate representation of your story I'd be interested to read it. Second, I have looked at your archives as well as those at Fold3 and The Blue Book Archives. I use The Blue Book Archives as my primary resource and, on rare occasions, Fold3 as a backup. Neither site has ever asked for personal information or demanded payment for access. Full disclosure: I donate money every month to The Blue Book Archive, because I appreciate the service it provides, but that is a voluntary donation; the site has never required payment for access.